Remote work is fast becoming a select practice and work culture in most organizations. What was once thought to be just a privilege enjoyed by workers of higher categories is now a common work scheme offered by many companies. Remote work offer many benefits not only to the employee but to the company as well. Work efficiency such as as savings for manpower and infrastructure cost are the reasons why remote work is now mostly preferred. And with the advanced digital technology, collaborative work can now be done online anytime, anywhere. 1. Work-life balance Telecommuting or remote working arrangements have become an excellent tool for recruitment, offering applicants flexibility to make work-life balance possible. This arrangement allows employees to work on-site just occasionally. They are allowed to manage their own schedules as long as work deliverables are met on time. 2. The unfavorable side For managers, leading a team in which the members are dispersed in different places prove to be very challenging. It’s difficult to physically check the project process unlike in on-site work where time to time checking is quite possible. On the other hand, workers may have the tendency to feel disconnected from its company, on-site team members as well as the manager. This saddening truth may make the remote worker lose focus on the job’s objective. HR management therefore must create work program that encourages timely interaction with virtual workers and among teams. 3. Make communication a priority Team managers as well as human resource managers must make communication a priority in order to clarify accountabilities as well as maintain workers’ engagement. The more remote workers understand the project goals and objectives the less margin of work errors. When managers regularly communicate with workers expectations are easily reiterated. This raises workers’ motivation, efficiency as well as deliverables. 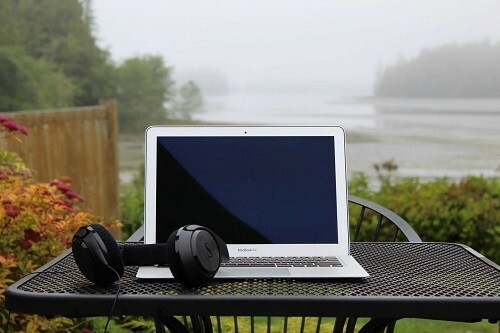 Remote workers should also connect regularly with managers and team members; this will provides the impression that the worker is very much engaged in his assigned task or project. 4. Leverage on online resources Execution of remote work would not be possible if not for the many available online resources and tools. Both managers and workers must take advantage of these tools that help manage projects in real time, share files, validate works delivered and, of course, face time. Even social media can also be considered a good resource where team members from different geographic locations can come together to build camaraderie. It is important however to first determine the company policies with regards to these available online resources. 5. Prompt recognition Despite being remote, workers would have a sense of belongingness when organizational leaders or HR management give prompt recognition for a job well done. Recognition engages workers more and helps them see their professional progress. If the work performed is exceptional then managers should not think twice in promoting the worker if the result would be loyalty to the organization or company.